Why is it that the Democrats are getting hacked recently, but not the Republicans? 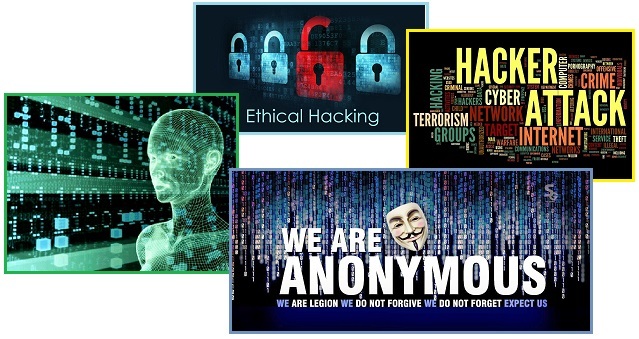 Do the hackers have a political agenda? They do indeed, per the Zetas, and at base it is what they call the Transformation Team vs the Clinton Crime Family. Look at the recent hacks that have hit the news. Debbie Wasserman Schultz, the chairwoman of the Democratic National Committee, abruptly said she was resigning after a trove of leaked emails showed party officials conspiring to sabotage the campaign of Senator Bernie Sanders of Vermont. The day also veered extraordinarily into allegations, not easily dismissed, that Russia had a hand in the leaks that helped bring down the head of an American political party. Pelosi told Democratic lawmakers that the Democratic Congressional Campaign Committee and other Democratic Party entities were the target of 'an electronic Watergate break-in' after personal and official information of Democratic House members and congressional staff was posted online. Guccifer 2.0 says records stolen as part of breach of Democratic Congressional Campaign Committee. Democrat hacker victims accuse the Russians. Not so, say the Zetas. They point to the Sony hack in 2014 done by Anonymous when some encoding pointed to a N Korean hacker was found. This was not true either, but rather a red herring to deflect suspicion from the real hackers. This is a common technique. Why would the perpetrator leave their fingerprints in such an obvious manner? Hackers are not dumb! Anonymous is famous for their hacking, which per the Zetas is done by contactees working with the Council of Worlds. 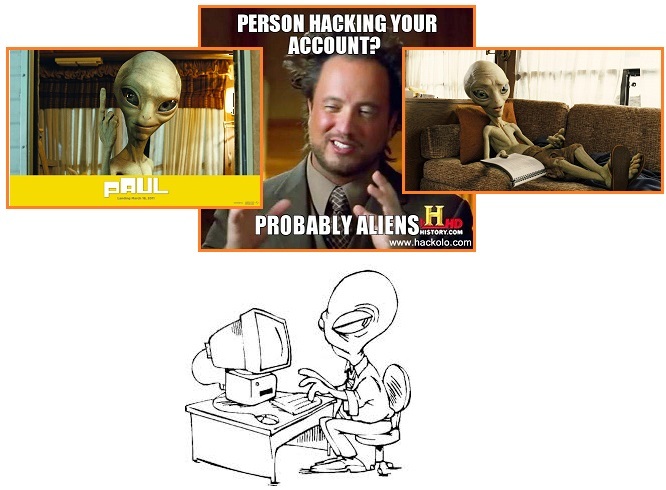 In that there is an Element of Doubt rule that must be honored, hacking cannot openly look like it was done by aliens. ZetaTalk Description 7/15/1995: The Element of Doubt rule must be interpreted in light of the absolute certainty that the alien presence is real, or not. The majority of the populace polled believes that the alien presence is real, intelligent life elsewhere possible, without any absolute proof in hand. The is what the Awakening desires, a gradual comfort level increase, without any contactees being burned at the stake by hysterical religious leaders whose turf has been threatened. Wikileaks also gets their information from many sources, whom they protect. In that Assange recently offered a $20,000 reward for the Seth Rich assassin, it is clear that Seth was the source of the DNC files. So if it was not the Russians, then who is hacking the Democrats, and why? The Zetas explain. ZetaTalk Confession 8/20/2016: Who is hacking the Democrats? The DNC hacker, who released emails showing how Debby skewed the DNC backing for Hillary, has not yet been identified, though Seth Rick, the 27 year old DNC worker who was shot, assassination style, on the streets of Washington DC likely lost his life due to suspicions it was he. But the Russians were blamed, anyway. Wikileaks releases information they garner from many sources, without identifying the source, although the fact that Wikileaks has offered a reward for the Seth Rich assassin more or less confirms he was the source. We explained during the Sony hack in 2014 that clues pointing to the N Koreans were encoded in the released data to confuse the trail and protect the true hackers. 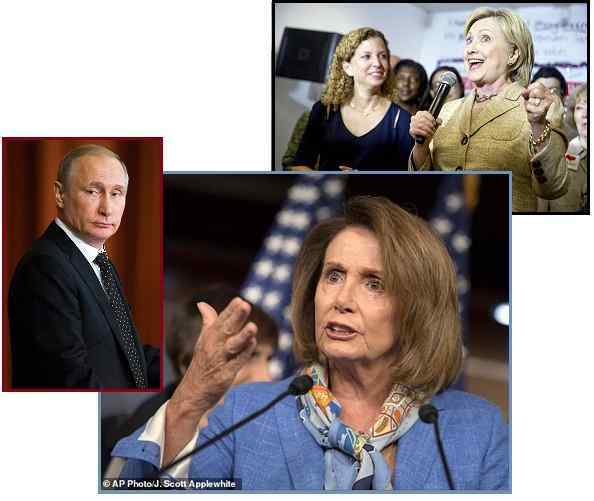 Pelosi was quick to blame the Russians when her laptop was hacked too. This assumption was based on metadata clues pointing to Russian computers. It was not the Russians, in neither the DNC nor DCCC case. Who is being punished, and distracted, and who stands to gain or lose? We have referred to the Transformation Team that includes Anonymous and ourselves, the Zetas, and the Council of Worlds – none of which want Hillary in the White House. We did it. It is not just the obvious – the Democratic party, their nominee, and the Super Delegates supporting Hillary – it is also wealthy donors like George Soros. Worth an estimated 26-29 billion, this Hedge Fund billionaire is interested in keeping Wall Street friendly Hillary in power, and muddles aplenty in politics in Europe and the US. 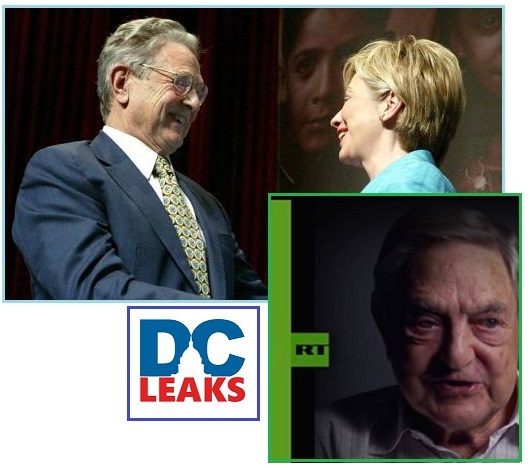 The Soros leak has emails that prove Hillary is at the beck and call of Soros and Wall Street, essentially a Soros puppet. They reveal work plans, strategies, priorities and other activities by Soros, and include reports on European elections, migration and asylum in Europe. An email leaked by WikiLeaks earlier this week showed Soros had advised Hillary Clinton during her tenure as Secretary of State on how to handle unrest in Albania – advice she acted on. The 2,576 files were released by DCLeaks, a website which claims to be “launched by the American hacktivists who respect and appreciate freedom of speech, human rights and government of the people.” Open Society Foundations seems to be the group with the most documents in the leak. Files come from sections representing almost all geographical regions in the world. The recent hack of the Soros Open Society Foundation reveals the extent of his meddling. $650,000 given to Black Lives Matter, the arm by which Soros hopes to incite a race war in the US, after the Baltimore riots. His interest in the European policy toward migration, in the midst of clear evidence that the Syrian refuges are embedded with ISIS sleeper cells and Europe is practically afire because of this. His interest in Hillary as with her in the White House he can influence and even dictate policy in the US. Soros is named an architect and a sponsor of almost every revolution and coup around the world for the last 25 years. The USA is thought to be a vampire due to him and his puppets, not a lighthouse of freedom and democracy. His minions spill blood of millions and millions of people just to make him even more rich. George Soros’s Open Society Institute viewed the 2015 Baltimore unrest following the death of Freddie Gray as opening a “unique opportunity”. Per the Zetas, the nexus in the recent hacks of the DNC, DCCC, and Soros Foundation is Hillary. The Transformation Team is taking her down. ZetaTalk Comment 8/20/2016: In the past we have described Soros as an arrogant kingmaker, a provocateur who incites jihad and race wars and riots for his personal benefit. This encompasses supporting Black Lives Matter in the US, supporting Mohammad cartoon contests in the US, and ISIS terrorism attempts in the US, (though the latter were countered by good intel so did not manifest). He wants Martial Law declared in the US to protect the assets of the wealthy, and is trying to tip the hand of Obama and Dunford to force this. He has made his billions in the Hedge Fund business, betting on chaos, and then arranges for the chaos to happen. Soros hand in Europe is just as devastating. He incited the coup in Kiev and the downing of MH17, all the while trying to blame Russia, and tries to incite NATO to attack Russia. Is he responsible for the Syrian migration into Europe and the chaos that has followed? He is an opportunist who has expedited this at every step. Once again, the kingmaker wants to be in control, and destabilizing the existing governance is a setting he desires so he can have a hand in the shape of things to come. In his mind, it does not hurt if Europe and the Euro end up in flames as being a Hedge Fund gambler, he will have as usual arranged to get rich off of the misfortune of others. The Soros agenda is well known, but what is the agenda of those who hacked and released his Open Society Institute emails? It is no coincidence that Soros sustained a hack exposing his role in the Black Lives Matter riots and migration of ISIS jihadists into Europe and the US at the same time that the DNC hack exposed their illegal support of Hillary and the DCCC came under harassment by having the Demo phone numbers and email addresses made public. 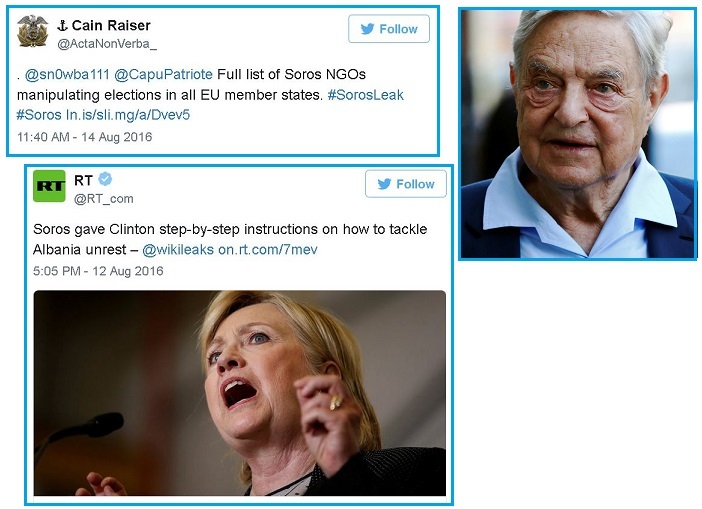 The nexus is Hillary, whom Soros has supported immensely. She is the war candidate, the race riot candidate, the Wall Street and Hedge Fund candidate, and corporate outsourcing candidate. Support Hillary? Beware! It should be no surprise that the Clinton Foundation is also being hacked. Well, they might have been hacked, say the media, by, you guessed it, the Russians, who left footsteps on several occasions. 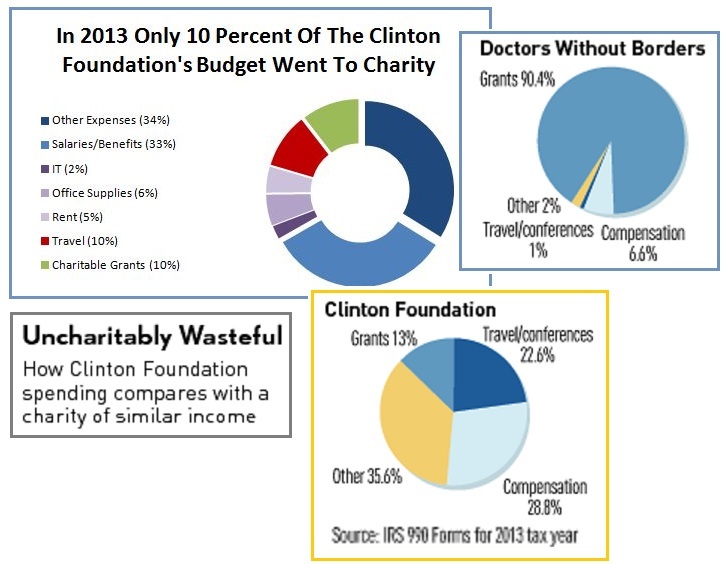 This all came to the attention of the Clinton Foundation this past April, with the most recent attempt in June. The security firm FireEye was hired in response to this threat. Bill and Hillary Clinton's charitable foundation hired the security firm FireEye to examine its data systems after seeing indications they might have been hacked. U.S. officials said the hackers used the same techniques Russian intelligence agencies or their proxies employed against the Democratic Party groups, which suggests that Russians also attacked the foundation. Although no documents have emerged, the attacks have left some Democrats and Clinton campaign officials worried that the hackers might have obtained emails and voice messages that could be used to reinforce Republican charges that donors to the Clinton Foundation were rewarded with access to Clinton and her aides while she was secretary of state. The compromise of the foundation’s computers was first identified by government investigators as recently as last week, the people familiar with the matter said. Agents monitor servers used by hackers to communicate with their targets, giving them a back channel view of attacks, often even before the victims detect them. The Clinton campaign was aware as early as April that it had been targeted by hackers with links to the Russian government on at least four recent occasions. 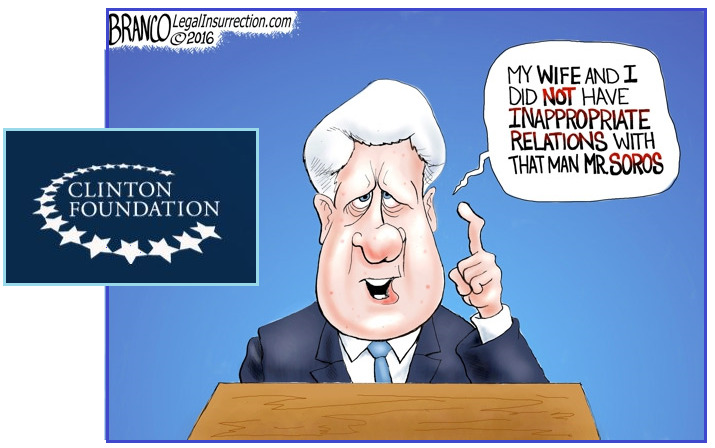 Suddenly the Clintons are nervous! It can hardly be that Huma’s email was finally released under a FOIA request by Judicial Watch. This has been ongoing for months. Can it be the evidence, last April, that the Clinton Foundation might have been hacked by the ‘Russians”? Why are we just now seeing sudden paranoia? There are hints that something big is about to break. The Zetas stated after the FBI’s Comey failed to prosecute Hillary over breaking federal statues on putting classified documents on an insecure homebrew server that the big prosecution, on Public Corruption, was still in play. The DNC, the DNCC, even the NSA - there has been a surge of hacking over the past month, much of it blamed on Russia, yet the two perhaps most famous servers, Hillary's personal email server, and that of the Clinton Family Foundation, had somehow emerged unscathed. Or maybe not. ZetaTalk Insight 7/9/2016: Notably missing during his very detailed explanation of the FBI process in this matter was any mention of the Clinton Foundation, which is under investigation for Public Corruption, a situation where a public official sells public assets for personal gain. There are two investigations that emerged as a result of the FBI confiscation of email scraps and deleted email on Hillary’s homebrew server. Only the server setup was addressed on July 5th by Comey. A second clue is Bill Clinton’s distress, his obvious attempt to delay any prosecution of the Clinton Foundation by suddenly boarding Lynch’s plane in Phoenix. He sought to publicly discredit Lynch’s integrity and in doing so, to force Lynch to assign an Independent Prosecutor, causing months of delays and allowing Hillary time to gain the White House. A third clue is the decision to delay release of Clinton Foundation related emails for 27 months. This request came from the Justice Department, indicating the emails were related to an ongoing case before them. FBI deliberations are secret. Grand Jury proceedings are secret. And certainly evidence to be used at trial is not going to be thrown to the public so the defense can argue their case in the media. Clinton Foundation crimes include Teneo Holdings, where Huma was allowed to double dip on a salary, Saudi grants received from the State Department in return for hefty speaking fees for Bill, Hillary’s odd two year delay in designating Boko Haram as a terrorist organization while funds flowed into the Foundation coffers, selling US uranium rights to a Russian firm in exchange for donations, and placing the unqualified Foundation donor Rajiv Fernando on State’s International Security Advisory Board. Why has the potential of the Clinton Foundation being hacked suddenly so prominent in the news, and why the sudden paranoia by the Clinton’s, rushing to exclaim that they will change their ways. Clearly, something is coming, the Clinton’s are aware, and are trying to get out in front of the bad news! Clearly, Bill Clinton is scared! The Zetas indicated that Hillary was offered, and took a plea deal to drop out of the race in exchange for halting prosecution on Public Corruption, pay to play between Hillary and the Clinton Foundation. Yet there is no sign that Hillary plans to drop out. If the Clinton’s are not afraid of their enemies, perhaps they are now afraid of their friends! Their friends will not be waiting for a severe wobble to halt the 2016 elections. Hillary Clinton's family foundation will no longer accept foreign and corporate donations if she is elected president, and will bring an end to its annual Clinton Global Initiative meeting regardless of the outcome of the November election. It will no longer take money from any foreign entity, government, foreign or domestic corporations, or corporate charities. A Clinton spokesman said the former president will also refrain from delivering paid speeches until the November election and will no longer give paid speeches if Hillary Clinton is elected president. ZetaTalk Prediction 7/30/2016: Then there is the possibility of either Hillary or Bill or both being murdered because this would halt the Clinton Foundation prosecution. This has a strong likelihood of happening because the FBI investigation into Public Corruption is moving aggressively, was the threat if Hillary did not withdraw, and the threat was not idly made. ZetaTalk Insight 8/27/2016: We have stated that Hillary would not drop out willingly, and would insist on being driven to the White House in an ambulance if necessary, such is her ambition. In that the polls have been rigged to show Hillary leading, so as to excuse her from the campaign trail, the campaign feels they can let her rest, as her symptoms get worse when she is fatigued or stressed. Because of their success during the Primaries, fixing the votes and fixing the polls, they feel they can repeat this for the General. What then would cause the campaign, and Hillary herself, to feel otherwise? It is not Hillary, nor Bill, who would be driving this decision. It is not those closest to Hillary, her inner circle such as Huma and Chelsea. Not her major backers such as Soros who would continue to insist she deliver on their investment. The Bush/Clinton Crime Family is more than this close-knit bunch. It is immense, in the reach of the tentacles. It includes Jewish bankers, the Israel connection, all the money laundering associates linked through the network exposed by the Panama Papers, and the sleeper cells embedded within the US government, placed there in the past by Bill Clinton and George W Bush. 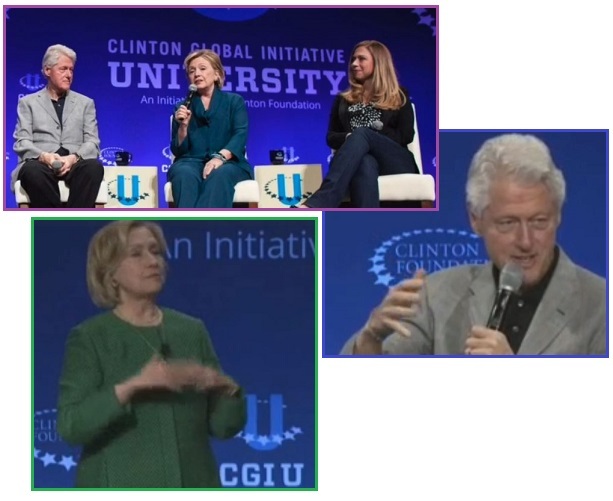 It is this larger network, worldwide and vastly wealthy, about to lose their influence as well as their wealth if exposed, that does not want the Clinton Foundation investigations to continue. They know that if Hillary persists, this will occur. They have tried to halt the investigations and found the key players such as Dunford and Comey protected in ways that human hands could not counter. Their choices are clear: kill Hillary and Bill and/or get Hillary to drop out. They hope to continue to operate, so see some worth in having Hillary and Bill still alive, familiar faces, and to if anything maintain moral among the network. So how would Hillary be pushed to withdraw? Her false poll numbers would start to drop, putting her into a panic. Various media sources who have heretofore refused any negative publicity of Hillary would be allowed to talk about her health and put Trump in a positive light. All this would create more short-circuiting in Hillary, especially as camera flashes would be allowed and she would have seizures on camera. It would be stressed that with Kaine in place, her influence would remain, and the whole network better off if the focus were not on her health. She would be given a new role, Queen Mother in essence.